a havana giftshop offers up magnets, including one that features american novelist ernest hemingway alongside former cuban president fidel castro. photo credit: meghan dhaliwal for the alignist. When the last sitting American president visited Cuba, penicillin had yet to be discovered and Prohibition was in full force. As part of a major shift in policy between the United States and Cuba, President Barack Obama will visit the island nation later this monthThat visit follows a restoration of political ties between the countries, which saw the re-opening of the Cuban Embassy in Washington, D.C. in July. Cuban-American poet Richard Blanco, who read an original work at President Obama’s second inauguration ceremony in 2013, was asked to write and share a poem for the historic re-opening of the U.S. Embassy in Havana in August. THE ALIGNIST’s Beenish Ahmed spoke to him about the challenges of composing a poem for such a personally and politically significant occasion, and about Cuba – and America – have changed for him since amid renewed ties between the two countries. Their conversation, which has been edited for length and clarity, is below. 1. 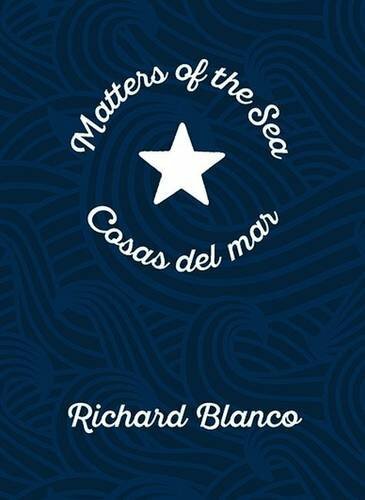 In your preface to the book version of your poem, "Matters of the Sea," you said that the announcement by President Obama that relations would be normalized between the United States and Cuba made you ask some questions of yourself: You asked, “Was I Cuban enough for a new Cuba? Would I be too Cuban for America?” Have you been able to resolve any of those questions in the time since that announcement was first made? I'm starting to rethink that [tension] and really thinking like a global citizen in a way. In that sense, I'm feeling like I can further explore not only Cuban or American [identities] but anything else that comes my way I think that's helped me to feel better about my own confusion. [Thinking about] what I’ve gone through [and] I think, [what] many millions of people [have gone] through, [I’ve accepted] this idea of not having to pick between borders. us, return to the sea, home to our silent wishes. 2. I'm interested in how you explore some of these mythic ideas of Cuba and the realities of what you’ve seen there. I'm a child of immigrants myself and I grew up hearing stories of Pakistan, the country my parents left. When I was younger, I was always trying to reconcile those stories with the realities I saw when we visited. I wonder about those stories you heard growing up. What were some of the ideas or images or maybe actual anecdotes that captivated you about a place that was, perhaps necessarily mythic to you since you couldn't return there very easily? A young man walks along the beach in miami. photo credit: christine amario for the alignist. Well that's the interesting thing about Cuba in some ways. Because of the economic situation and [the embargo] things haven't changed as rapidly [as in other places in the world]. My grandfathers’ house is still there and the sugar mill [in their town] was still there when I first went to Cuba. So there's this sort of kind of deja vu feeling and also [this sense that my] mind was playing tricks on me because I actually went through these same spaces [as] my grandparents and parents. I had nothing to compare it to because I don't have a before and after picture [but] for them it's a whole different experience because they see how things have changed, and deterioration, or how things have not been maintained or what not, but it's all still there. a girl writes in the dust on the back of a van in havana. photo credit: meghan dhaliwal for the alignist. What I realized more recently though, and I didn't think I was guilty of this -- I thought I was living in the present Cuba or visiting the present Cuba -- but I realized that I, in a way, was only [seeing] Cuba [through a] myopic vision by just trying to connect with those pieces of my heritage, my parents and grandparents’ stories. Now that a real relationship with Cuba, an intimate relationship with Cuba, and the people of Cuba [is possible] I realized that there's a whole lot about Cuba that I don't know. That's a new feeling for me and it's not necessarily in contrast to what my parents or grandparents said or didn't say. Rather there's this whole Cuba that's unfolded since they left and a whole history and a whole different sense of life or sensibility that I've kind of been blind to because I've gone with one purpose, which was to check in with my heritage, so to speak. I'm realizing that if I am going to have a relationship with Cuba, with the people of Cuba, that it [will] involve catching up with a lot of what's happened and looking at it as a real country and not just some place where my parents are from. 3. There’s a way in which Cuba still looks like it did decades ago, but how has it changed? How have the people of Cuba changed? The younger people like us on both sides of the fence is a different perspective. It's not the same perspective of perhaps their grandparents just like my grandparents don't have the same perspective as I do. In some ways. I felt like the …wall coming down would be up to the future generations perhaps even beyond myself -- perhaps I have too much weight to carry. That's kind of mentioned in the poem [in the part that about my cousins waiting for time to stop and begin again. So that idea that they move through generations in the middle piece of that poem. or cutting sugarcane to earn a new life for us. its way through river or street, back to the sea. a cuban fisherman smokes a cigar on the beach. photo credit: meghan dhaliwal for the alignist. a cuban-american make looks through his documents at a miami cafe. photo credit: christine amario for the alignist. 4. Turning now to the poem and all that you, obviously there's a great deal of thought and care that went into it. I wonder if your process was different knowing that you would read it at this momentous occasion of the reopening of the U.S. Embassy in Havana? 5. What was it like to write a poem for such a historic occasion and how much were you guided? Do diplomats and politicians offer poetic direction? I asked the president, “How did you trust me? How did you trust me to write a poem without saying, ‘You have to use this,’ or, ‘This is theme you have to use?’” Often people are so suspicious and think these poems are dictated by the administration or by political means and really, it’s amazing [that they don’t actually offer much guidance]. It still impresses me that they trust the artist to do what needs to be done. That being said, they read the poem [for the reopening of the Embassy] before and it has to get final approval, but, as [with my poem for] the inauguration, they didn't make me change a word. They did inform me in a different way, though. That was when I met with Ambassador [Jeffrey] DeLaurentis. [That meeting] served as a guide post [because it was] an emotional conversation. In that conversation, I realized that Ambassador DeLaurentis really, really cares about Cuba and the future of its people, and especially the younger generations. We discussed that notion of [Cuba’s] youngest generation sort of being a little lost and disconnected and craving that global connection that almost everybody else has access to. and regrets like stones in our hands we can't toss. 6. There are a lot of Cuban Americans who are very opposed to this shift in policy. Many of them feel that the Castro Regime should continue to be punished and that the embargo should remain until the human rights situation on the island improves. I wonder what you say to those people or what you would like for them to see given all of the work that you've done around this issue? a man walks through havana's streets. photo by meghan dhaliwal for the alignist. a miami cafe serves up a "a taste of cuba" to its customers. photo by christine amario for the alignist. I do respect those opinions because I can't know exactly what it felt like to go through what my parents’ or my grandparents’ generation went through. I respect that they hold those opinions and I respect those opinions. I trust that those opinions are grounded in something that I don't have complete access to. That being said, I think there's so many catch 22's going on here in this whole situation. On the one hand, those that oppose the opening up of Cuba, [have to accept that maintaining] that kind of isolation also means that the Castro Regime stays in power. You don't have to be a historian or scholar of history to realize what's going on here -- for every sort of king, queen, dictator or even a president, the power of having an enemy is a way of galvanizing and maintaining power for yourself. This is what I see as the irony of all this and I wish people would see that. In a stalemate nothing is going to happen. I don't know what hope they could have about doing nothing and expecting something to change when nothing has ever changed. Again is it about kissing and making up? No. It's about finding some other creative way to do something that isn’t just sitting and just complaining and living in some past that doesn't even exist anymore. [If you’re] talking about a Cuba that you've not visited in 60 years [then] you don't know what Cuba is anymore. All these layers just come into play. Obviously I feel very emotional about it myself by ultimately that is my response. 7. "I believe that poets play a crucial role in the making of a people,” your friend and translator Ruth Behar wrote in her afterward to your poem. What role do you think that poets play in a making of a people and what role has poetry played in the making of the Cuban American people? I think poetry plays a crucial role because poetry addresses the real emotional lives of people. The real truth in this situation and with others, [is hidden by ] the veneer of politics and rhetorical stances and the official word of any country… [W]hen you dig down deeper into the real lives of real people in the day to day, you get the real story so to speak and I think poetry seeks to bring out the real story. To me, ultimately history is driven by the stories of these people. They affect the world and they affect consequences and they affect the rise and fall of leaders in ways that are not always tangible or recordable or [written] in the history books. The will of the people in some ways the collective unconscious way of the people goes a long way. I think every poem, every poet, and poetry collectively tries to do that. [It] tries to bring out those buried stories, those real lives, those real families and the real consequences...of the people who are caught in the crossfires of history. That's what I think I tried to do in the poem as well as for Cuba is to get down to a human level. We are all fathers and grandmothers and children and cousins. We are all human beings. Let's stop and pause and think about that for a minute. [T]he Island of Cuba is not this political thing, but rather as real people with their joys and triumphs and sorrows and suffering. I think if we make that human connection with the island that meaningful change is inevitable. I think we see that happen over and over again in many ways. I think the power of our leaders and spiritual leaders like Martin Luther King Jr. or [Mohandas] Gandhi was the ability to humanize what is otherwise a political issue... Once you recognize the humanity in each other, the only outcome can be change and, at least, a temporary peace.